The trepidation and dread of it. Trapped in a plane, hovering among the clouds as it were...the craft rocking to and fro...realising that the ultimate disaster beckons: a shattering plane crash! After all it's been announced that the engines of the plane - all four of them are no longer working! The end is nigh...implacable rocks in sight...but what if they manage to turn the plane around, and somehow land it in the sea?...the waters? Alas, where would the rescue come from? Horrid deaths by marine creatures like the sharks, a fetid, rippling crunching finale! Which one is better, horrific swift death with the plane hitting the rocks, or death in the waters? 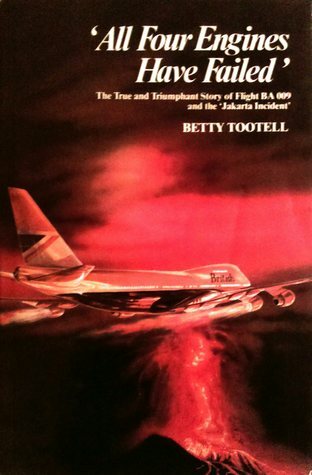 Such horrors no doubt swirled on the crew and passengers in this particular flight (real life), subject of this trenchant book. In passing, what a splendid job the flight attendants orchestrate even in the face of death, glimpsing the precipice, as they continually assure the passengers that all would be fine, smiling, guiding, patting them all (don't panic!) Whilst knowing all too well that their own sojourn on earth would likely end very soon.